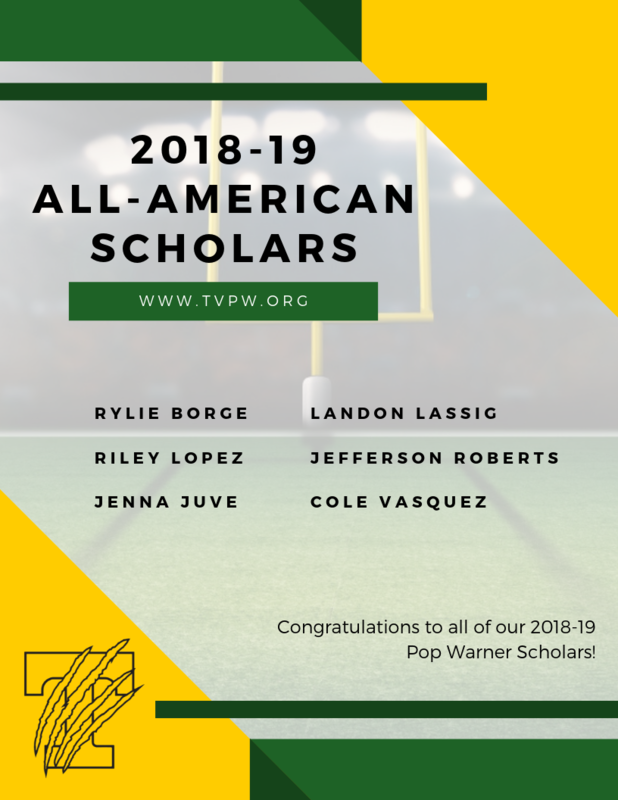 Congratulations to these TVPW scholarly athletes! Being named an All-American Scholar means you're among the top 1.5% of all Pop Warner participants across the country! Pop Warner National is currently sending out the annual scholar mailing to all of this year's recipients, which will contain all of the information about your All-American Scholar Award as well as information about this year's event. Our local Palomar Conference also holds an annual Scholar Banquet in May/June and more information will be published when available.